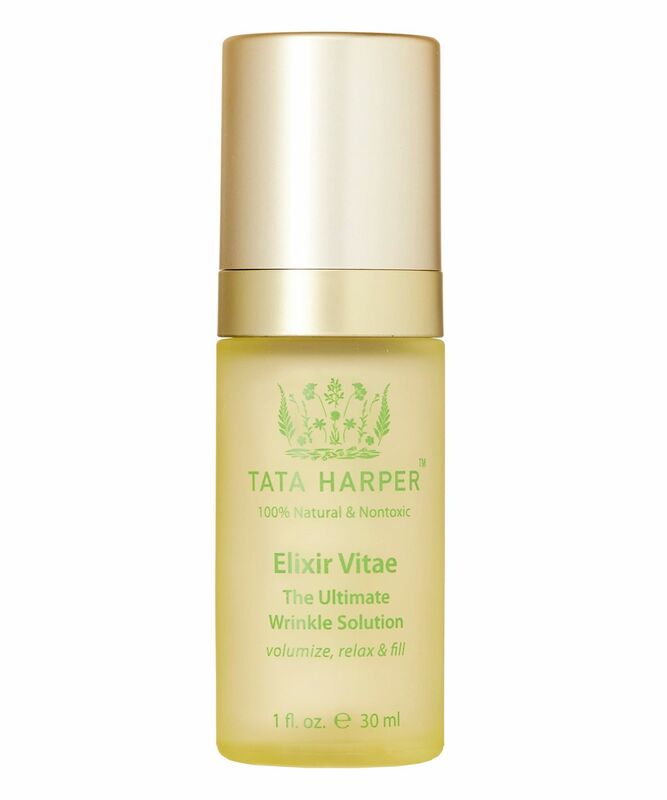 A cocktail of actives, Tata Harper’s Elixir Vitae works to address signs of skin ageing on every level and from every angle. A pivotal part of your age-defying arsenal, this souped-up serum hits cells’ re-set buttons, to maximise their efficacy and delay the ageing process. Ongoing skin concerns – primarily persistent wrinkles (frown lines, smile lines and crow’s feet) – are actively diminished, and skin becomes better equipped to repair and protect itself against ravages wrought by environmental aggressors. Just another super-natural reason to fall head over heels for the Queen of Green, Tata Harper. The ultimate tool to help your youth-boosting efforts, Elixir Vitae is supercharged with 38 active ingredients – 100% natural and 55% organic – that together, behave like a non-invasive (non-toxic) alternative to chemical fillers. 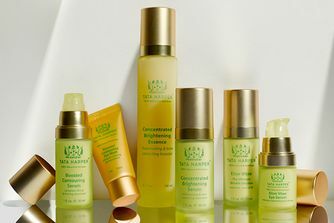 Prepare to put your cynicism re: organic on the shelf, and embrace the new generation of results driven natural skin care, courtesy of holistic guru Tata Harper. This potent serum is a one-stop age-defying shop, ‘un-doing’ the visible signs of degradation and retraining cells to act like younger versions of themselves, whilst simultaneously helping to counteract loss of volume and fortify the fabric of your skin. Both prevention and cure, this not only reduces the appearance of wrinkles (even deep expression lines), but helps to delay the development of new creases by inhibiting line-causing facial contractions. And it costs a lot less than its chemical counterpart (begins with ‘b’, ends with ‘otox’). Recommended for all skin types; especially suitable for those concerned with loss of volume. Apply one pump over entire face and neck, avoiding contact with the eyes. This is your most important anti-ageing step. This is such a disappoining product. It is overrated, overhyped and overpriced. It did apsolutely nothing. It just sits on my face and yet I still have that tight feeling that my skin is still dry. Save your money! I really loved this elixir. It is expensive but it’s worth the money. If you need to boost your skin you have to buy it, definitely, you will see the results on your skin. If you are like me in the early 30's you will clear the early signs of ageing that is crucial, if you wait too long you will need to invest more in your skin and I really advise you to start early. Love this product and used a few bottles. Rich but not oily. Thin layer is already fine to be fully absorbed. Very natural and comfortable scent. Highly recommend aged. This product left me with irritated, peeling skin. Considering the ingredients list, it is also not obvious how this might fix wrinkles. I did persist using it, with increasingly terrible results. I have thrown away all of the Tata Harper products I had left - a lot of needlessly spent money in the interest of achieving a cleaner, non-toxic beauty routine.